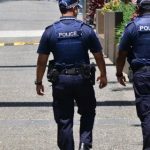 Being arrested in NSW - what can and can’t the police do? 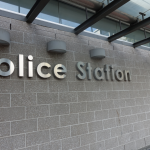 When you are arrested in NSW, there are certain procedures the police must follow. If they fail to do so, any evidence they try to bring against you might be disregarded in court. 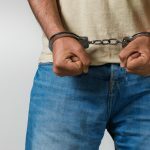 Your lawyer can advise you on your rights, and whether the police acted according to the rules or not in your particular situation, but here is a brief overview of some of the things the police can and can’t do when they are arresting someone. Can police arrest me without a good reason? No. The police can only arrest you if they catch you in the act of committing an offence, or if they have a good reason to believe you are about to commit an offence. Other reasons they can arrest you are if they have a warrant for your arrest, or if they believe that you have breached your bail conditions. Do I have to answer police questions when I have been arrested? Unless you have been arrested for a terrorist related offence, you generally do not have to answer police questions. In fact, it is a good idea to remain silent until you have spoken to a lawyer. 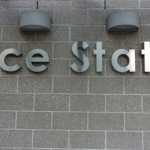 In the confusion and distress of being arrested, you might give inaccurate answers, or feel pressured into providing a false confession. You do need to provide your name, address and date of birth, but that is all the information you have to give. You might be required to provide additional information if you have been arrested under the national parks and wildlife act, the traffic act and the local government act. 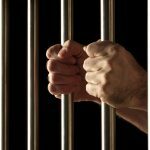 What are my rights if I am arrested in NSW? If you are under 18, or considered a vulnerable person by way of having an intellectual or physical disability, or you come from a non-English speaking background, you are allowed to have a support person with you during investigations. How long can police hold me after they arrest me? Generally police are only allowed to hold you for up to four hours before they have to either charge you, or release you. If they obtain a warrant, they can extend this time period for an extra eight hours. The four hours does not include time taken to contact legal representation, and friends/relatives, or time taken to use bathroom facilities. Where can I get more information about my arrest rights in NSW? Here is some more in depth information about being arrested in NSW, and what your rights are. If you believe that you have been treated unfairly, contact Sydney Criminal Lawyers® for advice, and an explanation of the complaints process. What is Considered Reasonable Force in NSW?